SJM Softech is a prominent name in offshore software outsourcing and is committed to deliver excellent services at an affordable rate. We are a reputed name in software development; hence you can trust us for providing excellent services for Mobile App Development. Our apps development services can help you cater large target audience, make your brand more valuable and be competitive in global market. We have a right mix of skill, experience and technical knowhow for mobile app development. We can build native app using iOS SDK, Android SDK, Windows Phone SDK or Wearable SDKs. With the changing face of mobile apps, we at SJM Softech have been extending the limits higher as we know apps need inventive skills. At SJM Softech, we have learned tools, SDKs and APIs to develop highly advance and featured apps for Apple Watch, Android Wear, Android Auto, Samsung Gear and several other wearable devices. 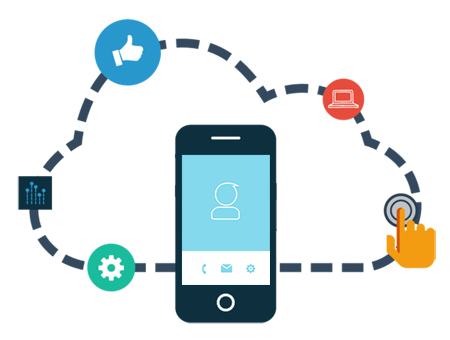 Planning Your Next Mobile Application Project?